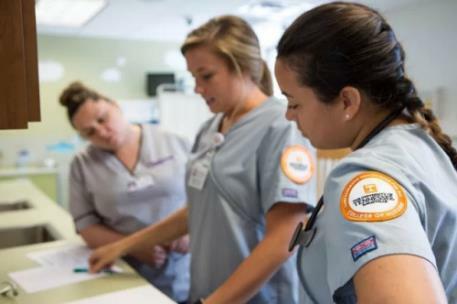 Graduates from the College of Nursing at UT had one of the highest first-time pass rates in the 2018 National Council Licensure Exam (NCLEX-RN)—97.2 percent. “The undergraduate faculty work diligently in both the classroom and clinical environments to prepare our students,” said Shelia Swift, assistant dean of undergraduate programs in the college. 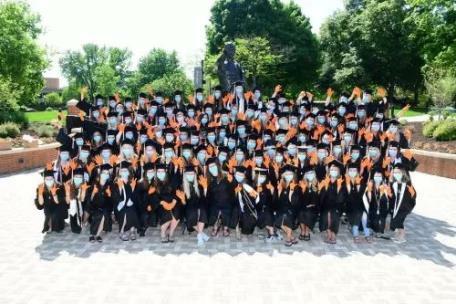 A total of 141 UT Knoxville nursing graduates took the test for the first time in 2018, and 137 passed the exam. In addition to the undergraduate bachelor of science in nursing program, UT’s College of Nursing offers an accelerated bachelor of science in nursing, and a RN to BSN track, as well as graduate degrees and advanced practice certifications, with online and blended formats available for selected programs.